An ENORMOUS thank you to all who supported our Kickstarter campaign; it was successful because of you! 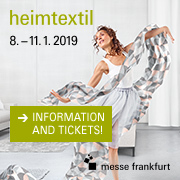 The Heimtextil Trend Table led by FranklinTill points out that rural-urban migration is fast-paced and brings new opportunities to design as well as the socio-economic and environmental shifts taking place. This month we have a sneak peek of the trends to be presented in January. We look at color, materials, lifestyle shifts, and include a number of Trendease tidbits along the way. Get inspired with the September edition! Worldwide — The Trendease Team is pleased to present this super avant-premiere look at what will be unveiled at the Heimtextil Theme Park in January 2018. “The future is urban” will disclose how urban life is likely to influence the worlds of living and working in future. There are five themes for colors, materials, and design directions, as well as “spaces” that reflect important lifestyle trends. Worldwide — Waste is the new raw material of choice for contemporary designers and manufactures. Rather than look at this as a huge problem of heaping landfills (it is), creatives are turning lemons into lemonade by looking at this as an opportunity, not a threat. An abundance of clever thinking is bringing about a new age of inspiring materials and products as seen here. Worldwide — Movers, Shakers & Makers is about the disruption to traditional manufacturing caused by digital fabrication, community engagement, the backlash against excess mass production and fast consumption, encouraging the new empowerment of the craftsman. 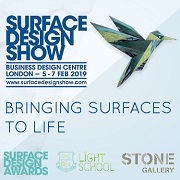 Also get a glimpse into The Maker Space that will be built in Hall 6.0 in the Theme Park as well as Trendease discoveries from New York design week. Worldwide — The color of the light around us, the scent that surrounds us, and the plants that add greenery and clean air to our lives all take a part in our well-being. More than ever designers are paying particular attention to these elements. From textiles to ceramics to architecture well-being is a topic that covers all aspects of our existence. Frankfurt — Colors are known to influence moods and feelings. In contrast to current views, blue has been shown to be stimulating and red calming. Relax/Recharge is a transformative design option that uses the power of colors to bring the energy balance of over-stimulated urban living worlds back into equilibrium. 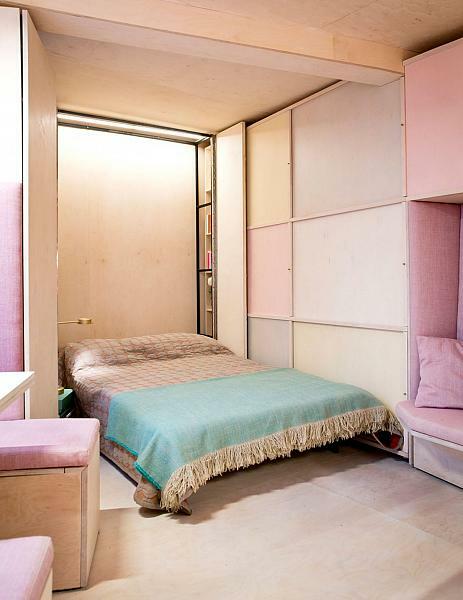 Walls, floors and furniture are completely immersed in color. Frankfurt — Indigo, one of the oldest dyes in the world, is currently much in vogue among numerous current brands and designers. They are rediscovering indigo dyeing and accepting all of the foibles and the many color gradations of this deep blue color. Based on the Japanese philosophy of Wabi-Sabi (“accepting the imperfect”), materials and products bear the traces of the way they were made. Frankfurt — Urban living systems are multifunctional and can be adapted. Soft Minimal focuses on interior designs and products that appeal because of their functionality and are valued for a lifetime. Cozy materials give a minimalistic flat some warmth and personality. A reserved color palette of muted pastel colors and neutral shades complemented by matt black ensures timeless elegance. Frankfurt — Freed of all excess frills, the designs appeal with geometric and interchangeable shapes and materials that are perfect for packing and transporting – travelling and moving made easy. The textile techniques used are simple and reliable. Industrial materials are reinterpreted and converted for home use. Bright primary colors ensure a playful appearance. Frankfurt — Designers transform interiors into green oases in order to use nature to achieve an increased sense of well-being. Green is regarded as the most relaxing color for the eye. Lush green shades are used to refresh both body and soul. Dark forest and sage green are mixed with matt pink. Textures that imitate nature ensure a full, soft feel. London — It has been a busy week in at MoOD Brussels and Maison&Objet in Paris. ‘Tis the trade show season! And for those of you venturing to London next for the design festival and numerous trade shows, this is your last chance to see Breathing Colour, the inspirational exhibition at the Design Museum by Hella Jongerius on show until September 24th. Worldwide — This week’s gallery features a wide-ranging collection of images from a plethora of events spotlighting a motif that is always en vogue: the butterfly. It is a classic forever reinterpreted. Subscribers can flutter around this collection of products scouted from across the globe including furniture, ceramics, upholstery, wallcoverings, bedding and beyond. London — This week’s gallery features some student work, graduation projects, that were innovative in thought and quite provocative in terms of packaging. Subscribers can see the clever concepts here that include everything from plates to chocolate to milk jugs with an idea for waste minimalization.